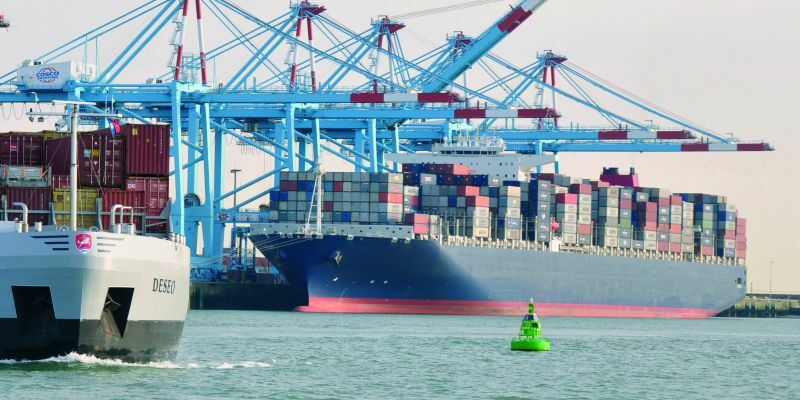 2019，the OCEAN Alliance – Cosco Shipping Lines, CMA CGM, Evergreen Line and OOCL – have announced their new ‘Day 3’ network for all east-west routes. The OCEAN Alliance keeps optimizing the service loops, by providing 7 service loops, faster transit time, better port pair coverage, more stable service. In their service offering Zeebrugge will play an important role as North European hub. CSP Zeebrugge is ideally located for import and export to and from major European Distribution Centers in Northern France, Belgium and the Netherlands. CSP Zeebrugge has first class intermodal connections, with rail and barge connections to the main European DCs and Inland logistics platforms, such as Dourges (FR), Lille (FR), Rekkem (BE), Wielsbeke (BE), Gent (BE) and Duisburg (GE). Moreover, Zeebrugge’s coastal location also makes it a natural transshipment port for the UK & Ireland, Baltic region and Russia as well as Spain & Portugal.